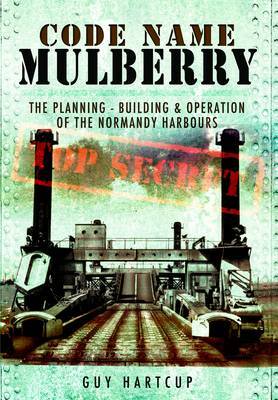 The story of the Mulberry harbours must rank among the most remarkable to emerge from the Second World War. In terms of engineering achievement, it is surely one of the greatest of all time.Allied planners correctly anticipated that the Germans would deny, either by destruction or dogged defence, the vital Channel ports in the aftermath of D-Day. If the invading armies could not be kept resupplied, OVERLORD would fail. The only solution was to design, build, transport and install two massive artificial harbours.How this highly ambitious plan was implemented is told with clarity and authority in this superb book. The text, admirably free of unnecessary technical jargon, is well supported with photographs, diagrams and tables, which demonstrate vividly the scale of this great venture. The irony is that the real enemy turned out not to be the Germans but the elements. Code Name Mulberry is a first class account of all aspects of this extraordinary chapter in the history of the Second World War.